The Research Council for Complementary Medicine (RCCM) have announced the details for their CAMSTRAND 2019 Conference: ‘Working with others and Collaboration in Research”. The event will be taking place across two days on Monday 1st & Tuesday 2nd July 2019 at the University of Worcester Arena. The event is open to complementary and alternative medicine (CAM) practitioners, researchers, Phd and other post graduate students, and any other parties interested in the field of complementary/alternative & integrative medicine. 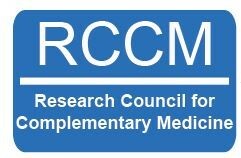 RCCM is currently seeking applications for abstract submissions. If you are interested in submitting an abstract, click here to download the abstract form and submission guidance.